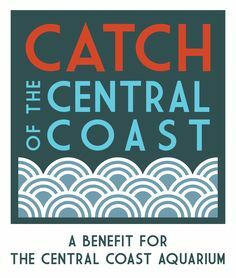 This evening the non-profit Central Coast Aquarium will be holding its fifth annual fundraiser "Catch of the Central Coast 2017" in a mission to educate and engage the community in the care of our beautiful ocean environment. This year we are extremely happy to announce that Just Looking Gallery has been working with the Central Coast Aquarium to develop a custom image, created by the one and only Steve Thomas, depicting the aquarium and the wildlife of the ocean. In addition to a night of dining while overlooking some of the best coastal views in California, the CCA will be auctioning off the very first print of the fantastic, new, limited edition series. We are very proud to call the Central Coast our home and were eager to work on a project depicting our local environment and beautiful wildlife. The Central Coast Aquarium depicted in the painting not only offers an exciting look at life beneath the sea, but celebrates such an important part of our community's identity. Places up and down the coast such as Pismo Beach, Morro Bay, and Avila Beach have given us timeless memories to look back on and cherish. Therefore, we are very excited to release a piece in coordination with our local CCA which perfectly captures the essence of our beautiful marine wilderness and coastal community. More information on the Central Coast Aquarium can be found on their website along with details on the print series. The Central Coast Aquarium prints can also be purchased on our website here.